Extend signals via Cat 5e / 6 / 6a cables up to 300m and 2560 x 1600 @ 60Hz resolution. Includes VGA/DVI models with PS2 or USB KB/mouse interface with local console support. Set up a matrix of workstations with flexible connection configurations to access, monitor, and control multiple computers across a high security independent network. 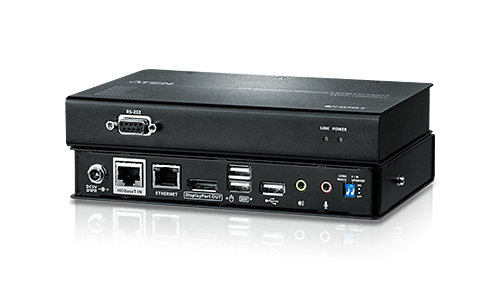 Allow a console to be located at long distances away from a computer installation; DisplayPort/HMDI/Dual View DVI/DVI models available in many HDBaseT specs, with USB2.0. Extend your USB console up to 20km away via a single fiber optic cable. Features dual-console operation, touchscreen support, and resolutions up to 1920 x 1200 @ 60Hz. 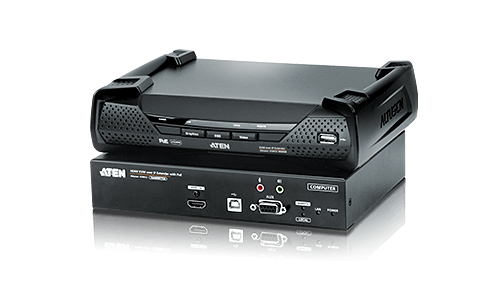 As a Contributor member of the HDBaseT Alliance, ATEN delivers added benefits of HDBaseT™ technologies to KVM extenders, enabling the next generation of connectivity. 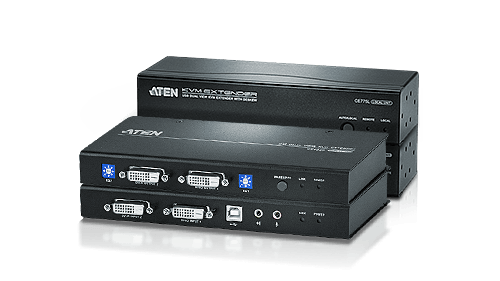 ATEN's innovative solution that combines KVM over IP Extenders with the KE Matrix Management Software (CCKM) to extend, control and monitor access to computers across independent networks in multiple ways. 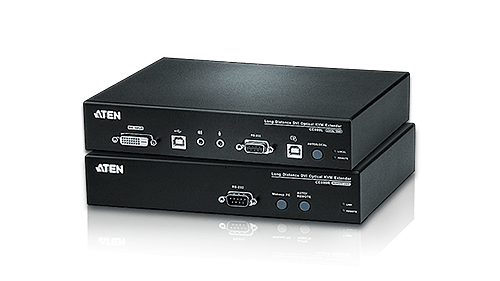 ATEN offers a comprehensive hardware and sofware solution that redefines control for the control room of the future. Find ot more in this video!